News, reactions and thoughts from a life-long professional wrestling fan. 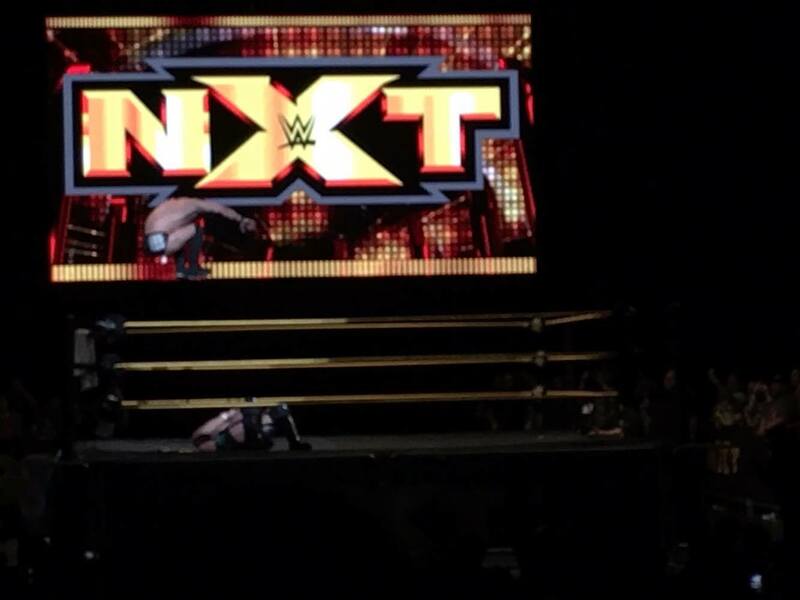 Over the course of the past couple years, NXT has evolved from WWE's developmental territory into its own brand. NXT has showcased some of the best wrestlers in the world and changing the way many mainstream fans view WWE and "sports entertainment." Now, in 2016, NXT has become a touring force, bringing its version of sports entertainment to markets far from its origins in Orlando, Florida. 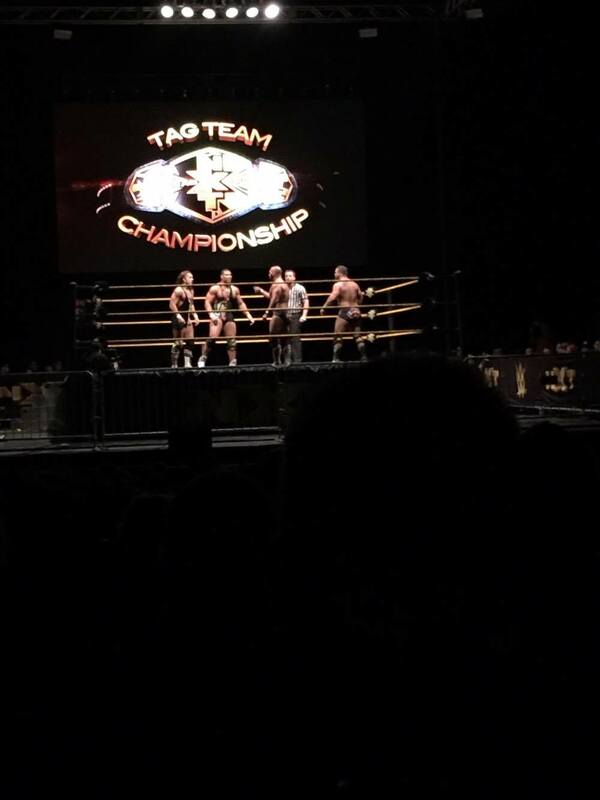 Tonight, myself and a group of friends were able to experience NXT live in person at the Paramount Theater in Seattle, Washington. 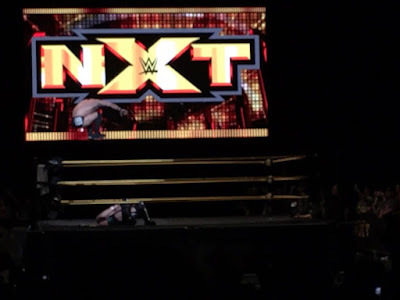 Seattle did a fine job in living up to the enthusiasm and interaction that made the original NXT fans in Orlando so unique in the WWE world. All the matches on the show had their place, but I'm going to hit the notable ones here. 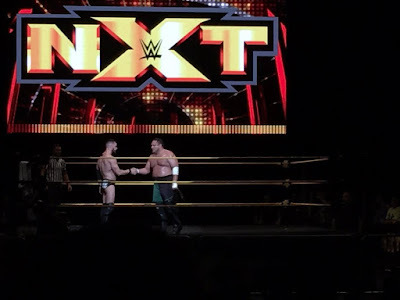 In what might have been the best match of the night, American Alpha took on The Revival for the NXT Tag-Team Championship. All of us in the audience were hanging on every false finish of this bout. With the surprise finish between Finn Balor and Samoa Joe only a couple weeks in the past, it's no wonder why we were unsure about the outcome of this one. To sum it up, American Alpha and The Revival absolutely killed it. This one had everything. 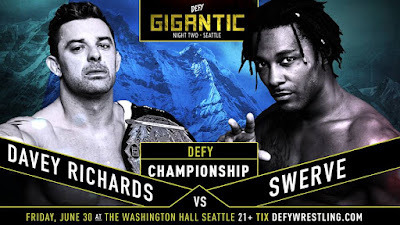 High IQ tag-team wrestling, technical sequences, excellent false finishes, and excellent character showmanship. More than once during the match, we all stood up and clapped to show appreciation for the performance we were receiving. These two teams are going to make a huge impact when they finally arrive on the main roster. Chad Gable really shined. His mat wrestling was so on-point throughout. Jason Jordan tossed Dash and Dawson around on a couple occasions with suplexes that even Brock Lesnar would endorse. Alpha ended up getting the win off their finish, much to the delight of all of us. All and all, this match was incredible and a testament to the strides and progress NXT has made as a product. Bayley took on Alexa Bliss in a good match. Bliss seems to have a solid handle on her character and has shown that she's clearly improved in the ring. But at the same time, Bayley has reached a level of overness that maybe only two or three other NXT performers have obtained. She got one of the biggest pops of the night. Bayley has become so confident in her character and her in-ring work. I'm not sure if she's capable of having a terrible match at this point in her NXT career. Skipping ahead to the main event, Finn Balor and Samoa Joe had a great match. Nothing over the top here, probably because the two have some tricks left in the bag saved for their title match at the next TakeOver. The crowd was split 50/50, adding so much drama and an amazing atmosphere. Joe won with the Muscle Buster. After the match, Joe extended his hand to Balor in what appeared to be a show of respect. They shook hands, but Joe clotheslined him to continue the feud. They battled a little more and Balor ended up hitting the Coup de Grace to end the show with a bang. There were so many memorable moments tonight. With that being said, one really stuck out in my mind. After intermission, The Drifter came out to be interviewed by Tom Phillips. He played a song and took some shots at the crowd and the city. Then, Shinsuke Nakamura's music hit. Now, the Paramount only holds about 2,800 people. But believe me when I tell you that when Nakamura's music started to play, the place came unglued with a pop so loud that I was in awe of the moment. To see Nakamura live meant a lot to myself and apparently everyone in attendance. It was only six months ago that the idea of The King of Strong Style in WWE was merely a fantasy. I've said this many times and for good reason. WWE, though creatively it still needs work, is changing for the better in terms of personnel. At the same time, professional wrestling as a whole is changing. I can't see into the future, but we seem to be on the brink of something big. Never before has WWE assembled a roster this diverse. We've seen many of the top independent names make the jump to WWE and have success. We're now seeing international talent make the jump. Outside of WWE, the independents have never been better. Ring of Honor is growing. PWG has arguably become the ECW of my generation. Lucha Underground has made waves. Evolve now has somewhat of a WWE affiliation. Overseas, groups such as Progress and ICW have become legitimate promotions. New Japan Pro Wrestling has the attention of many American fans that may have never watched in years past. The point of all this is that we as fans are recognizing the talent that exists outside of the WWE bubble. It's talent that's so undeniable, that now WWE can no longer ignore it. It's no surprise to many of us that NXT has become what it's become while showcasing talent that became stars in other promotions. Professional wrestling fans around the world have spoken and now even WWE has acknowledged what is going on around them. Will wrestling ever match the viewership of the WWF Attitude Era? Maybe not. But there's something going on. There's a movement taking place. As a fan seeing Nakamura live for the first time tonight, I'm just proud that I may have witnessed a small piece of an even bigger revolution that could be on the horizon in professional wrestling. WWE Payback is about a week in the past and some unanswered questions have come to light. To many fan's chagrin, the "special event" proved to be a vehicle to get the McMahon's storyline over, not the main event. Let's be real here. The WWE World Heavyweight Championship main event was stellar. At least the in-ring parts were. I don't want to bash WWE here, but what did we really learn at Payback? Quite honestly, we were reminded that this show is about the people that run it, not the men and women that make it go. AJ Styles turned out one of the best performances of his career, elevating Roman Reigns as the company's top guy. Reigns shined as a champion and at times, as a heel. 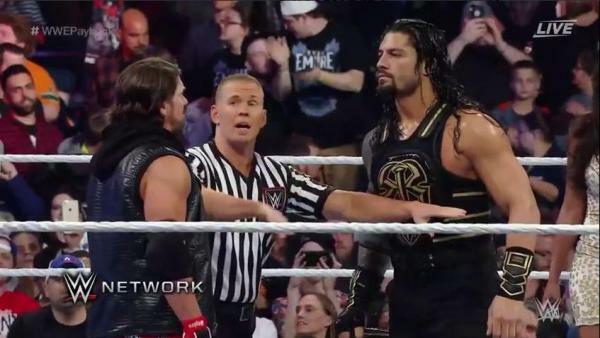 The Chicago crowd was very much in AJ's corner and Reigns didn't pretend like that wasn't the case. Reigns jaw-jacked the crowd and finally seemed to come into his own in the persona that's going to get him truly over with the fans. What was troubling was the match's stoppages, which acted as openings for Shane and Stephanie McMahon to restart the bout to insure that it didn't end in count-out or disqualification. It was a vehicle to progress the storyline, but it certainly hurt the match and its momentum. If this is the beginning of the "new era" of WWE, it doesn't seem to be a positive one. Many speculated that Finn Balor would debut at Payback, helping Luke Gallows and Karl Anderson attack AJ and form the Balor Club. While this didn't happen, it can't be ruled out. The fact of the matter is it was speculated that we'd see a major storyline development, but instead, we were given the beginning of the Shane/Stephanie power struggle angle. At this point, we ask ourselves: Is this angle in anyway groundbreaking to significant in terms of a new direction within WWE? Payback's card included two standout match-ups: Sami Zayn vs. Kevin Owens and AJ Styles vs. Roman Reigns. Zayn and Owens was an epic, with both proving why they deserve some major time for their feud going forward. Owens was a masterful heel and at the same time, Zayn was the ideal babyface as he gained sympathy after shining bright during the match. As stated earlier, Styles and Reigns lived up to the billing, but both matches were overshadowed by the McMahon's feud that played out at the event. After last Sunday, not much has really changed in WWE. Perhaps Payback was what we should've expected. Maybe it was simply a filler event coming off the heels of WrestleMania 32. Extreme Rules will be interesting, though. Will WWE start showing signs of a new creative direction? Maybe we'll get our answers in the coming weeks.